He’s a Hall of Fame quarterback, and was the on-field leader of the Dolphins team that finished undefeated and won the Super Bowl in 1972. Before that, however, he was buried on the depth chart at Purdue with a serious flaw in his throwing mechanics. 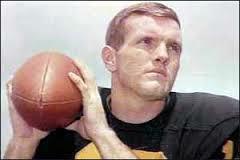 Griese had been highly recruited out of his Evansville high school, but his success was founded on smarts and raw athleticism. He was a standout baseball and basketball player, too. 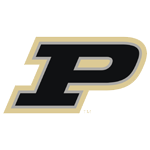 In Spring practice at the end of his freshman football season at Purdue, he was, according to quarterbacks coach Bob DeMoss, the seventh-string quarterback. With help from a former Purdue coach, DeMoss discovered the error in Griese’s mechanics. Three seasons later, he was an All-American and the runner-up in the voting for the Heisman Trophy. Simple as that. Griese played basketball for a couple of years at Purdue, too, and was a standout defensive player — so much so, that Cazzie Russell remembered him all those years later as the most difficult player he had faced in college. We did this one over the telephone. He called the 800 number in the studio because he didn’t want to give out his number, and I almost missed the call because I didn’t see the flashing light on the control board. Glad I did.